Bitcoin and Gold – Outlook and Safe Haven? – Exchanges of value?– Can bitcoin rival gold as a safe haven? – ‘Bitcoin vs Gold’ or ‘bitcoin and gold’? – Conclusion: A monetary and financial revolution? What does the recent volatility and surging price of bitcoin mean for the future of the crypto-currency and does its recent outperformance mean that it may supplant gold as a safe haven currency? Can bitcoin rival gold as a safe haven? Do bitcoin’s recent price gains herald gains for gold in 2017? 2016 was a pivotal year for both the gold price and the price of bitcoin. In dollar terms, both made new gains that have not been since in the last four years. However, the fledgling digital currency greatly outperformed gold. Gold climbed 8.6 per cent in dollars last year, outperforming both US Treasuries and the US Dollar itself. Despite ending its four year decline and gold being higher in all major currencies, sentiment in the media and among investors remains tepid towards gold as it had a poor second half to the year and failed to end the year above its July high of $1,366. This despite strong gains in dollar and euro terms and surging over 31% in British pound terms and protecting UK investors and savers from sterling’s devaluation. In contrast, 2016 saw the bitcoin price climb by more than 100% (see FT chart). With a climb of 126% it greatly outperformed all major fiat currencies in 2016. 2016 was also a year of significant maturing for bitcoin, this was in part thanks to the developments made in the underlying technology – the blockchain – but also because it had a year of lower volatility. It also began to react to macroeconomic developments, indicating that bitcoin traders and some buyers are now considering its role in the world beyond the cryptocurrency system, and instead as a form of currency hedge. Bitcoin began to act more like gold – a hedge against geo-political, systemic and monetary risks. The outlook for both bitcoin and gold looks positive in 2017. There are many positives for both gold and bitcoin as prices and holdings of both assets look set to benefit from speculators and investors’ desires for diversification, alternative currencies and safe havens. Gold price predictions for 2017 range from $1,100 to $1,600 and beyond. Following a near 9% jump in 2016 a Bloomberg survey of analysts expect, on average, a climb on 13% this year. Goldcore, one of the analysts surveyed by Bloomberg sees gold reaching an annual high of $1,600 per ounce and closing the year over $1,400/oz. Should analysts’ expectations play out, it will be the metal’s biggest rally since 2010. Regardless of where analysts sit on the gold price axis, they all agree that Trump, Brexit and ongoing upset in the EU are likely to be supportive for gold. Not to mention negative real rates, inflationary policies and ongoing problems in the Eurozone banking system. A survey on CoinDesk showed expectations for bitcoin to finish north of $1,400. Interestingly only a small percentage of those surveyed pointed to macroeconomic factors as the reason for the price climb, many in the bitcoin community still look inwardly to the technological improvements that are ongoing within the cryptocurrency, as support for higher prices. A report from SaxoBank, released early December, also saw the potential economic impact of Trump’s governance and inflationary expectations as well as tense relations with Russia and China, as having a positive effect on the bitcoin price. The Bank made the ‘outrageous’ prediction that the bitcoin price could rise to as much as $2,000 as a result. As we have already seen happen with gold, Saxo Bank believe it is not impossible to think that Russia and China, will move to accept bitcoin as a ‘partial alternative to the USD’. The start to bitcoin’s year has been promising, if volatile. On January 4th, the price reached multi-year highs over $1,129 per bitcoin. Since then, it has dropped by as much as 33% to as low as $776. In recent days it stabilised at $800 and today it has surged over 6% to $880. Both gold and bitcoin continue to benefit from their positions as borderless, autonomous currencies. Not only will they grow in appeal as countries look to diversify away from the US Dollar, protect themselves from cyber hacks and Trump uncertainties, including his tweets, but also as populist politicians of the left and right increasingly encroach on the roles of central bankers. The PBoC released two separate statements on 6th January, both of which reminded (and quoted) readers of a 2013 statement stating bitcoin was not a currency and warning buyers of the risks involved. This is in stark contrast to Chinese official pronouncements re gold which has tended to be very positive – including at one stage encouraging Chinese people to diversify into physical gold. Then, last week the PBoC purportedly stated that it will be carrying out ongoing investigations into China-based bitcoin exchanges. This prompted a 14% price crash. Investigations at the moment appear to be interpreted as making sure exchanges are not faking the volumes going through sites (something the West has long been vocal about), as well as taking measures to prevent money laundering. No one knows what the impact or extent of the Chinese government’s decisions will be. It’s unlikely that these leaks and announcement were by accident, given that the price and volatility were both covered on Chinese State television. Put in perspective one wonders how big a deal this really is. At the moment, the bitcoin market cap is around $12.9 billion, in contrast the total amount of currency outflow from China was $320 billion. The majority of capital flight from China, is not happening via bitcoin. Although it is obviously the reason for increased bitcoin activity. Given only 16 million bitcoin exists, it is impossible that a significant proportion of the 1 billion plus Chinese citizens are stocking up on the cryptocurrency. For many bitcoin exchanges in China, increased transparency and more questions from the PBoC is only a good thing. The volatility seen in the last few weeks has masked a number of positive developments for bitcoin. The announcements in regard to regulation and monitoring are welcome for an asset that is still untrusted by the majority of the financial world. In order for the market (and supporting ecosystems) to mature the currency most experience the same hurdles and be subject to the same scrutiny we see in other currencies and asset classes. This is a familiar situation for gold. For a long-time we have been drawing attention to the activity in China, in terms of exchange developments and gold controls. It has been the controller of the physical gold market for many years, and how much the government owns and imports has been the source of much speculation and research. However, recently gold too has come under scrutiny by the Chinese government due to concerns over capital flight. Last year gold import controls were put in place in an attempt to prevent currency leaving the country. In turn, this may have contributed to a spike in the demand for bitcoins. These are examples of how gold and not bitcoin are being used as currency hedges and safe havens. For some a maturing in the bitcoin market may be seen as a threat to gold. 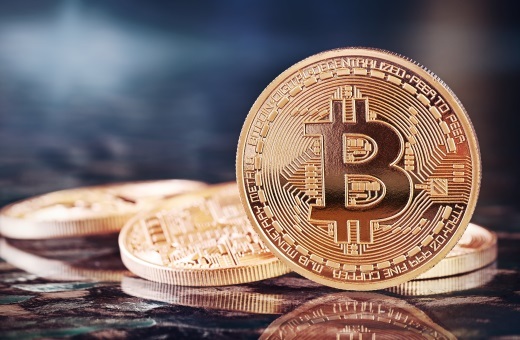 However, bitcoin has undoubtedly opened up the minds of many to alternative currencies, and the development and evolution of the bitcoin and cryptocurrency market will likely benefit gold and attitudes towards it. For sure, bitcoin is easier to spend than gold, on a day-to-day basis. However, as we have covered in recent articles, the technology that supports bitcoin (blockchain) is making it easier for gold to play a more significant role in daily spend (whether one wants to spend their gold, or not, is for another time). Owning bitcoin and gold have been very useful for people in countries which have suffered financial crisis and currency crisis in recent months. Take, for example, currency controls in South American countries and India, to name a few. To spend and store bitcoin has little cost and is easy if you have even basic technology know how. If you own gold in a vault in Switzerland – you can simply sell it and have your funds wired to your bank account in another jurisdiction. You then can access your currency by using your credit and debit cards. Both assets have come up against regulatory and legal issues when it comes to being able to use them as mediums of exchange. In worst case scenarios and for periods of time you may not be able to use gold or bitcoin in monetary transactions. Then their ability to potentially act as safe havens and stores of long-term value would become more important. Can bitcoin rival gold as a safe haven? We have seen gold’s role as a store of long-term value clearly during the financial crisis in recent years and indeed throughout history. Indeed, there is a significant body of academic and independent research which clearly shows that We have been at the forefront of educating about gold’s diversification benefits and safe haven properties since 2003. Bitcoin has not proven itself in this regard just yet. It relies on the internet and technology to be functional. The idea of crossing borders as a refugee and there being little access to technology is a situation which is all too common to millions of people today alas. However, this is a situation gold has coped with very well over hundreds of years of human migration in times of both war and peace. Again in recent years, a nest egg of even a small amount of physical gold has helped people start new lives in foreign countries. When it comes to the security of gold and bitcoin, you will hear different opinions. Both can be stolen, and there are recent examples of thefts in both markets. Both need to be owned and stored in the safest ways possible. How secure they are depends on you own them and where you store them. For Nick Szabo, highly respected cryptographer and rumoured Satoshi Nakamoto, bitcoin is more secure than gold. He argues than in its history, gold has been very insecure and points to several lootings by explorers (the Spanish from the Aztecs, the English from the Spanish) by way of example. This is less of a risk if you own gold in a discreet, well hidden place in your home or office in indeed in secure storage in safer jurisdictions internationally such as and . In contrast to gold, says Szabo, bitcoin is secured by a private key to a a secured address. How you store the private key is up to you – whether online, a piece of paper or even in your head. Information, Szabo argues, is easier to protect than something physical. With the threat of cyber security growing on a daily basis it is reasonable to see security as more of a threat to bitcoin than gold. Although many gold providers are also exposed to cyber risks. Bitcoin’s security and functionality relies on technology, servers, the internet, the grid and electricity. One of the cases for gold’s strong outlook is because of the growing threat of cyberwarfare, something the cryptocurrency is unfortunately more exposed to. In truth all assets carry some security risk, but much of the threat to bitcoin’s security comes down to its relative newness and whilst it matures so do the abilities and tricks of cyber hackers. When we think about security for gold, we mainly think about government confiscation. For the bitcoin community this is the asset’s saving grace – it is yet to be confiscated by a government. In truth, this is rare in gold and there are no recent examples. It is not an occurrence that is impossible to imagine for bitcoin. The fact is, a government is perfectly able to outlaw either asset and demand it be handover to the government. Bitcoin fans will argue that their asset is easier to hide, but surely no one would argue that you should break the law. Instead, diversification of storage is important for both assets. This is to reduce both the risk of government confiscation and cyber attacks. Bitcoin vs Gold or ‘bitcoin and gold’? Statements such as this by Chris Burniske, an analyst at ARK Investment Management, to the Washington Post have a tendency to make gold investors nervous. It can plant a seed of doubt into investors’ minds that markets are going to turn off from gold and focus efforts on bitcoin during times when they would normally turn to gold. Those who are still asking if they should by bitcoin or gold are often basing it on the fact that by the end of 2016 bitcoin had doubled in price whilst gold climbed 8.43%. Both had outpaced the S&P 500, the US Dollar and US Equities over the long term. Granted, gold did not have the year bitcoin did, but it did not do badly. For example, at the beginning of 2016 gold continued to prove itself as a safe haven (the best performing asset, following silver in the first half of the year) and reached its 2016 high post-Brexit vote in July. Certainly, when bitcoin first arrived in the mainstream consciousness, bitcoin versus gold was a big question. This was mainly down to the fact that bitcoin was pitched as the new gold, by many journalists. However, I believe the majority of those who are already invested in either gold and/or bitcoin are pretty much over this issue. Currently bitcoin plays a different role to gold. For want of an analogy, bitcoin is more the cash, whilst gold is more the savings. It is likely that we will see those looking at securing their wealth across both assets. This is likely to be done in a similar way that we see gold investors also buy silver, and divide holdings between stored bars and coins kept at home. In the last couple of years, gold and bitcoin bugs have joined forces and many people hold both assets in their portfolio perceiving benefits to holding both forms of money. Investment and now currency diversification is extremely important, especially in a world of growing uncertainties and an increasing number of surprises whether politically, economically or even socially. Gold has long been an asset to be considered in a diversified and balanced portfolio. It is only of late than bitcoin is also looking to play a role, especially as gold controls in China saw buyers turn to bitcoin. However, as discussed above, we do not believe the debate over gold and bitcoin investment is an either/or. In 2012 the World Gold Council released research that found the presence of gold in a portfolio ‘is a significant contributor to portfolio efficiency by reducing risk-adjusted returns and reducing expected losses’. They found that holding between 2.6% and 9.5% of one’s wealth in gold assets can help achieve beneficial diversification. For bitcoin, the focus is still on returns, rather than its role as a safe haven or currency hedge, although we suspect this will change. A oft quoted fact is if you had bought $200 in bitcoin in 2011, it would be worth $1 million today. It is possible for us to take any asset and demonstrate staggering returns over a perfectly chosen period. The fact is that for now, the bitcoin investment market is too new and underreported to know what role the currency may play in a portfolio. There is also a dearth of quality bitcoin investment vehicle and at present buying bitcoin directly is the best way to benefit from price gains. However, as we have discussed above, owning bitcoin directly can bring its own security risks and this is something there is little education and understanding about. In contrast, holding gold as part of a balanced portfolio and as a safe haven asset has been part of the public consciousness for centuries. Conclusion: A monetary and financial revolution? At the moment, bitcoin is very much the darling of the alternative currency world and sections of the media. However, it is still very young. There are far more ‘what ifs’ in its future than there are for gold. Whilst there is currently no argument for or against why bitcoin will be an obsolete asset in 100 years from now, gold has history and over 2 billion people holding it. I personally do not think that bitcoin’s future is at risk but then as 2016 has shown, we really cannot predict anything. Gold has stood the test of time and has withstood thousands of years of technological, political and economical change. Bitcoin, as a technology-based currency is yet to experience any of these things. For all we know, another cryptocurrency may well usurp bitcoin due to more technological advances and the ability to avoid the volatility and government threats that bitcoin currently experiences. We really do not know. The psyche that has people shifting into alternative currency hedges is the same one that is surprising the media and pollsters when it comes to discontent and worry over the political and economic system amongst the electorate. Soon the mainstream will begin to ask why this is happening and start to take it seriously. When this happens bitcoin will no longer be a novelty and gold will again be seen as the prudent safe asset to hold in your portfolio. In all likelihood both assets will continue to benefit from the factors that have made them preferred assets in times of uncertainty. Politics is much harder to predict these days, but the long-term demand for gold, and short-term demand for bitcoin has shown them both to be good currencies to hold when the going gets tough or unpredictable. The financial revolution that bitcoin has driven (the thought that anyone can diversify from the modern monetary system) is beneficial for gold and we may well continue to see a split in what would have been primarily gold demand, now being split between both bitcoin and gold – especially among hhe millienials and the tech savvy younger generations. This is not a bad thing for gold. Increasingly, gold and bitcoin will be seen as very much complementary assets, but buyers would be prudent to apply the same logic to owning bitcoin as they do for gold – diversify, own the currency in the safest ways possible – including some offline in secure ‘cold’ storage and monitor the wider political, financial and monetary environment.